Al Masaood Automobiles, the authorised distributor of Infiniti in Abu Dhabi, Al Ain, and the Western Region, has announced the launch of the stylish, sporty, and intelligent Infiniti QX30 in the Abu Dhabi and Al Ain market. 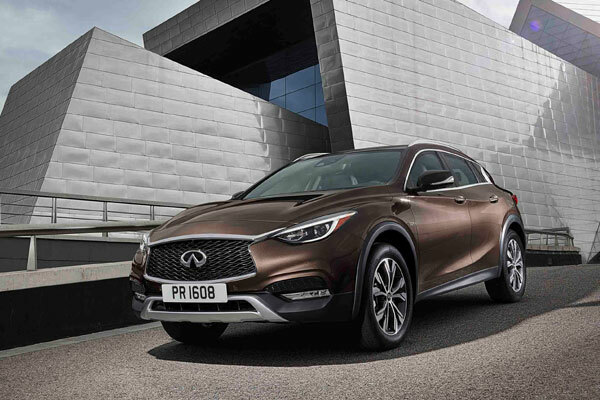 It is the first Infiniti QX30 which combines crossover appearance with signature Infiniti design cues, said a statement from the company. “We share the same strategic goal alongside our commitment to deliver diverse products in the luxury vehicle segment, exceed customer expectations, and achieve the highest level of customer satisfaction,” he stated. “By bringing the model to our market, we are not only demonstrating this commitment, but we are also looking forward to our clients fully experiencing and optimising the inspiring, and truly creative features of the compact QX30 model,” he added. The latest model holds a unique position in the segment, bridging the gap between premium compact rivals and larger crossover models, it said. The QX30 is characterised by purposeful crossover-style and its versatility extends from unique design appeal and a wide range of comfort, to convenience, safety and dynamic features, along with an elevated ride height and high-stability drivetrain designed to give drivers an added level of confidence, it added. The vehicle is engineered to deliver a confidence-inspiring, dynamic driving experience, aided by intelligent all-wheel drive. It is among the safest cars in its class owing to a range of active technologies that enhance the driving experience and provide maximum safety to all passengers. The QX30 is also equipped with the premium Café Teak theme package option that offers brown Nappa leather seating and dash insert, brown leatherette console and door trim, black contrast stitching and genuine wood centre stack.